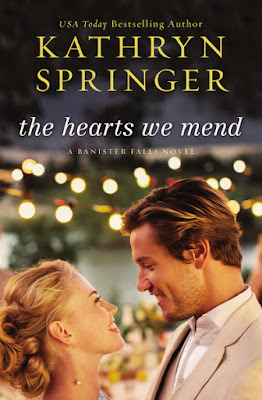 When Evie meets Jack, life gets more than a little complicated—despite her best attempts to keep life organized with planning and Post-It notes in Kathryn Springer’s The Hearts We Mend. Tattooed, rough-around-the-edges Jack raises quite a few eyebrows in the tight-knit community of Banister Falls. Where Evie’s life is stream-lined, Jack’s approach to living is moment-by-moment. But as Evie gets drawn into Jack’s world—a world that isn’t as safe or predictable as the one she’s worked so hard to create—he challenges her to open her eyes to the problems outside the walls of the church. 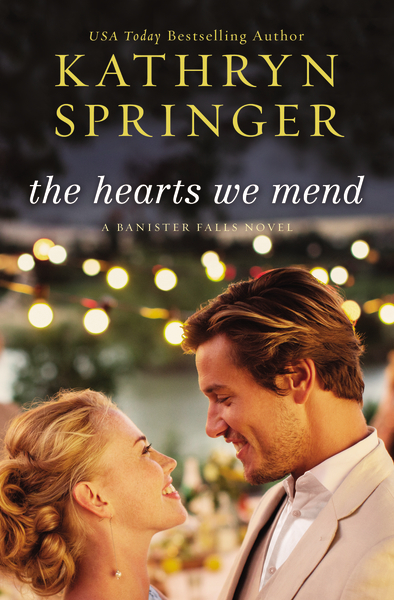 Celebrate the release of The Hearts We Mend with Kathryn and enter to win two of her books by signing up for her newsletter on her website (left sidebar). The winner will be announced March 23 via Kathryn’s newsletter. Kathryn Springer is a USA Today bestselling author. She grew up in northern Wisconsin, where her parents published a weekly newspaper. As a child she spent many hours sitting at her mother’s typewriter, plunking out stories, and credits her parents for instilling in her a love of books – which eventually turned into a desire to tell stories of her own. Kathryn has written nineteen books with close to two million copies sold. She lives with her husband and three children in Marinette, Wisconsin. Find out more about Kathryn at http://www.kathrynspringer.com.